JOB DESCRIPTION: The University Librarian shall be responsible to the Vice Chancellor for the administration of the University Library and coordination of the Library services in the University and its Campuses, Colleges, Faculties, Schools, Institutions, Departments and other teaching or research Units. THE PERSON: Applicants for the post of University Librarian must have, in the past, exhibited considerable degree of competence, responsiveness, demonstrable integrity and transparency on matters of Library administration and management. Applicants must be in good health and able to endure the rigours of the duties of the University Librarian. Also, candidates must possess the following qualities: vision, proven academic distinction, managerial ability, integrity and transparency in private and public life. In addition, candidates should have the ability to develop linkages with the external communities to support the emerging needs of the University, command respect and arouse cooperation and loyalty to staff and students of the University. Candidates are to write in not more than five hundred (500) words, their vision for the University Library Services Development and management for the next five years. Prospective candidates must show innovative approaches to the running of an ICT-driven Library, working at the highest level of efficiency to promote and sustain a vibrant Library including an e-library of world class standard with up to date volumes. Candidates must possess a good honours degree in Library Science and a Ph.D. Must have contributed to knowledge through copious research and publications in reputable journals. Fifteen (15) years post-qualification experience, at least five (5) of which must have been in the position of Deputy Librarian in a University setting or similar institutions. 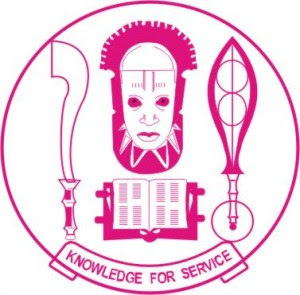 CONDITIONS OF SERVICE: The successful candidate shall hold office for a single term of five (5) years only but may upon satisfactory performance be extended by Council for a further period of one year (and no more) on such terms and conditions applicable to Federal Universities in Nigeria and as may be determined by appropriate University Laws and Governing Council. Candidates who do not have the required five (5) years for a full term before retirement need not apply. The remuneration and other conditions of service are as applicable to the post of UNIVERSITY LIBRARIAN of all Nigerian Federal Universities and as may be determined from time-to-time by the Government/Governing Council as appropriate. Each applicant must have three (3) referees who should be requested by the applicant to forward their referees’ report under confidential cover by Courier Service directly to the Vice Chancellor. All applications should be submitted by Courier Services under confidential cover in sealed envelopes marked “Post of University Librarian, UNIBEN” to reach the office of the Registrar, University of Benin, P.M.B. 1154, Benin City, Nigeria, not later than six (6) weeks from the date of this publication.